Any feedback from volunteers that suggests improvements we can make are discussed by the trustees and actioned if possible e.g. additional equipment. "Tessa and I did it all !! We had a lovely time and were beautifully looked after ! 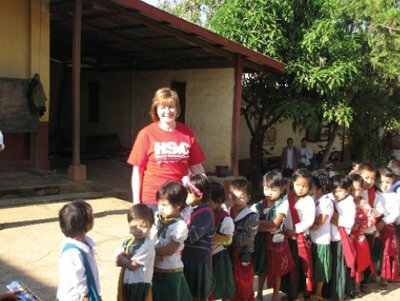 We worked at the clinic and then the orphanage . 2 monasteries followed ! We gave everyone a toothbrush and an info leaflet . We got rid of 900 toothbrushes . Ko Maung was on alert for every mechanical problem . He was accompanied by his 2 mobiles his betel nut and his cigarettes. The 4 nurses were delightful and fun . We also had 80 year old Shirley helping us every day from the orphanage and at the last monastery under the stairs we had an IT consultant from Barbican UK who was a little bit related to Ko Maung . We were only ill once after Florence's very proud spread at the clinic !! We managed to rally the next day but said we were a little bit the worse for wear !! We took inventories and will pass them on later when we get back . 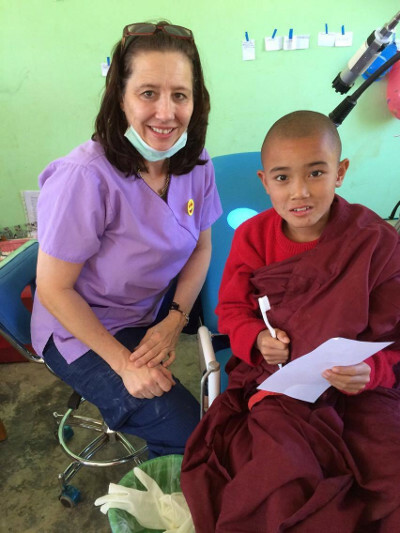 Tessa and I say thank you for everything "
In January 2016 our West London Dental Centres volunteer team of 3 dental nurses and 5 dentists returned to Lake Inle in Burma on behalf of the dental charity Burmadent. 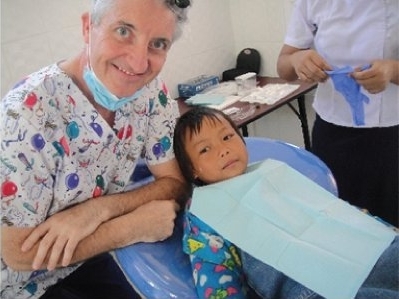 Our primary mission was to provide urgent dental care to mainly orphans, and in addition the impoverished communities in villages around the lake, but then to try to develop a more conservative approach to dental treatment. We knew that in order to do this we needed reliable, high-quality mobile surgery equipment. Burmadent had been recommended to Siggy, and so had purchased 2 full-spec mobile dental units from NewCodent. This trip was our first opportunity to use the mobile units. Each day we loaded up the various aluminium boxes onto the truck and visited a different area. Setting up the equipment was very easy, as all the cables and fittings were bespoke and couldn’t be confused. The various boxes were not heavy, and the team were able to set up ready for a clinic in about 20 minutes. Once connected, we were able to undertake good quality restorative dentistry using the built in high speed handpieces, chairside lights, light curing handpieces, suction and ultrasonic scalers. In addition extractions and even minor oral surgery were within our capabilities. Sometimes we set up in places without electricity, so simply plugged into our own generator and carried on! The end-of-day process to pack up was equally simple. The equipment was very well designed, clearly with close attention to detail and the requirements needed to create an excellent mobile dental unit. With these mobile dental units we treated on average about 100 patients per day. When undertaking dental treatment away from a clinic, for example under a tin roof or underneath the stairs of a temple, it is essential to be confident that the equipment would be reliable and efficient. We found the NewCoDent mobile units to be robust, easy to assemble and use, and were very effective in functionality. It was also reassuring to know that should we have had any problems, we could rely on the direct and immediate personal support offered to us by Siggy and Shantie. 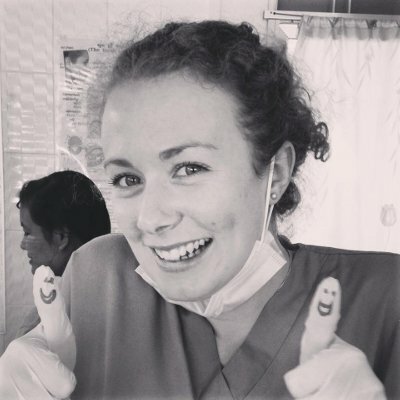 We are already looking forward to our next volunteer trip, and to using the mobile units to their potential again, helping remote communities to access dental care. On behalf of my team, I should like to thank Siggy and Shantie for their excellent product and service, and would have no hesitation in recommending them to the wider profession. The Golden Empress Hotel in Nyaung Shwe “fantastic” and High Five Hotel in Rangoon, the staff were “attentive and the location very convenient as it is near the airport”. She says that the traffic in Rangoon is “horrible” so stay near the airport! She also recommends taking a cagoule for the boat journeys in case of a downpour. She saw an “incredible change in many patients who were given a toothbrush on their first appointment”, so take out as many as you can. recommends Golden Empress in Nyaung Shwe which has a “fabulous breakfast” and Chatrium Hotel Royal Lake in Rangoon which was “a bit of luxury” at the end of the trip with a pool, felt good for women travelling on their own. 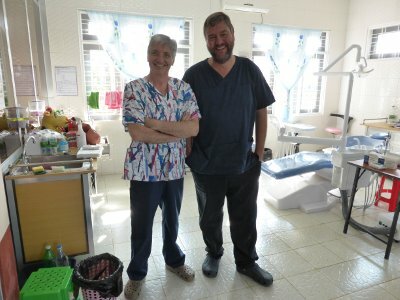 Leigh thought the local nursing staff were “amazing” and they made communicating with the locals so much easier. She also said that they struggled with toffelmire matrix bands as her group had not used them before – so watch a youtube clip before you go! Recommended the Golden Empress Hotel as the staff were “so friendly and helpful and the rooms were comfortable with their own bathrooms” Also try the Shan noodles for breakfast. She recommends taking a sleeping bag liner as she got so hot at night that it was useful to sleep in and if you go travelling after the volunteering it will be useful if the next hotel is not quite so pristine as the Golden Empress!! She felt the transport arrangements worked well and the local nursing staff were “brilliant”. “Little did I know that a pleasant meal out in March 2012 with friends and clients Henrik Overgaard-Nielsen and his wife Sharon Bierer, would be the beginning of an amazing journey that would see me complete a skydive, re-discover my skills as a dental nurse, visit a country and continent for the first time, become trustee of a registered charity and become involved in an amazing project to bring desperately needed dental care to orphans and the poor in Burma. That meal was the first time I became aware of the shocking lack of dental care available for the children at the Main Thouk Orphanage in Burma and as Henrik and Sharon described in passionate detail the conditions they had discovered on their recent holiday to the region, I became genuinely moved. They explained how the lack of any co-ordinated, regular treatment left young children with levels of caries and decay that would cause a national outcry if they were to exist in the UK and I was motivated and excited by their plans to return to Burma later in the year with two of their employees, Zar Ni, their head nurse, and his wife May Myat San. Due to the support of family, friends and colleagues I was able to join their next trip and witness first-hand the desperate needs of this country. It was an amazing and unforgettable experience. If you really want to make a real difference, using your dental skills and knowledge, don't hesitate - get involved - you will not regret it!" "It was great to be able to help these lovely kids; I wished my son was there to share this experience with me." 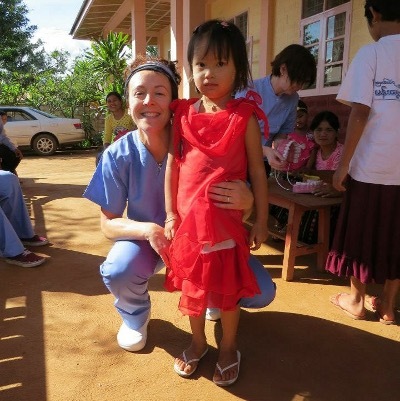 "It was my first volunteering trip to my home country as a dental nurse with west London Dental Centres. In the beginning I was excited and looked forward to the trip. When I completed our two week trip with my lovely colleagues Patty and Mike, I reflected that our performance had been excellent. Our teamwork was fantastic and the amount of work we completed was impressive. We helped to relieve hundreds of patients from pain and oral disease by providing dental treatment and gave preventative fluoride applications. We also educated patients on how to brush the teeth and gave dietary advice, and trained local nurses to perform to our standards, including infection control. Throughout our time we recorded information to help us understand the main factors influencing the level of disease, to help planning for future needs- particularly for children."